Grab your idea before it gets away! 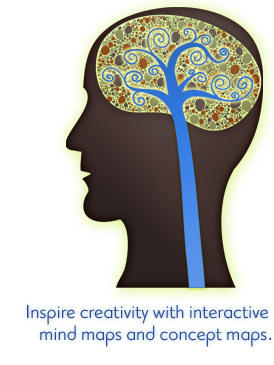 Creating online mind maps or concept maps with SpicyNodes is easy, interactive, and fun. Thoughts are rarely linear, and SpicyNodes can help you organically map them in a way that maximizes flexibility. Nodes capture your thoughts, and the connections between nodes give you the opportunity to see both the big picture and the tiniest nuances. The result? An ideal tool for anyone to improve understanding, brainstorming, and planning  especially for multifaceted issues. Your concept map is limited only by your imagination and can be used for almost any purpose  from expanding upon a single topic to exploring a broad set of ideas or processes. Your map can be published on your web site or blog, allowing you to share and collaborate. SpicyNodes can aid in study, organization, problem solving, decision making, planning and writing. Your published nodes are inviting and interactive. By dividing your words, ideas, tasks, and thoughts into simple units, you and your team can zoom out to see the big picture, or zoom in to get detailed information about a particular node. Organize thoughts. Generate, organize, visualize, structure, and classify ideas. Make decisions. Organize all of your ideas in a clear diagram to help you solve problems. Brainstorm and plan. It’s often easier to think though a problem once you have something to react to. When you create a nodemap, you can flesh out various aspects of an idea or problem, rearrange elements as needed, and link nodes to related nodes or web pages. For you, or the world. Make private nodemaps for your own use, or share them with colleagues or the public. Communicate. Multifaceted issues are easy to explain with SpicyNodes. By sharing your thinking using a nodemap, you can visually communicate plans and ideas, and more quickly gain consensus and take action. Easy to author. Use the drag-and-drop editor to define nodes, specify formatted text, images, or multimedia, and choose hundreds of possible combinations of visual styles.